In order to gain larger legitimacy, RSS has been making claims of sorts. One of that which was made few months back was that Gandhi was impressed by functioning of RSS. Now on the heels of that comes another distortion that Ambedkar believed in Sangh ideology (Feb 15, 2015). This was stated by RSS Sarsanghchalak, Mohan Bhagwat. Recently on the occasion of Ambedkar’s 124th anniversary many programs were held by RSS combine giving a pro-Hindutva tilt to presentation of Ambedkar. There cannot be bigger contrasts between the ideology of Ambedkar and RSS. Ambedkar was for Indian Nationalism, Secularism and social justice while the RSS ideology is based on two major pillars. One is the Brahmanic interpretation of Hinduism and second is the concept of Hindu nationalism, Hindu Rashtra. 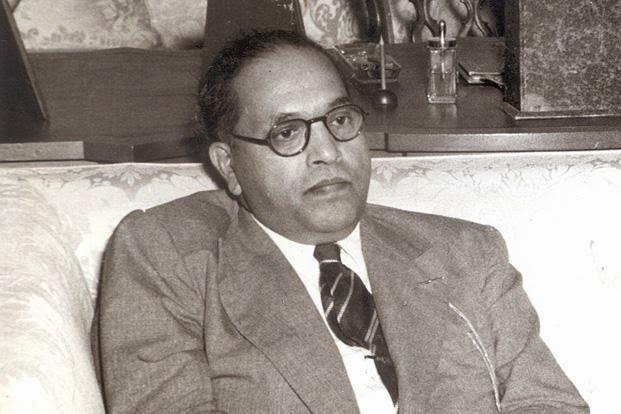 Where does Ambedkar stand as for as ideology of Hinduism is concerned? He called Hinduism as Brahminic theology. We also understand that Brahminism has been the dominant tendency within Hinduism. He realized that this prevalent version of Hinduism is essentially a caste system, which is the biggest tormentor of untouchables-dalits. Initially he tried to break the shackles of caste system from within the fold of Hinduism. He led the Chavadar Talab movement (right to access to public drinking water for dalits), Kalaram Mandir agitation (movement for access to temples). He also went on to burn Manu Smriti, the holy Brahmanic- Hindu text saying that it is a symbol of caste and gender hierarchy. His critique of Hinduism, Brahminism was scathing and in due course he came to the conclusion that he will give up Hinduism. In his book ‘Riddles of Hinduism’ published by Govt. of Maharashtra (1987) he elaborates his understanding about Hinduism i.e. its Brahmanical version. Introducing his book he writes, "The book is an exposition of the beliefs propounded by what might be called Brahminic theology...I want to make people aware that Hindu religion is not Sanatan (eternal)...the second purpose of the book is to draw the attention of Hindu masses to the devices of Brahmins and make them think for themselves how they have been deceived and misguided by Brahmins" (from Introduction of the book). Lord Ram is the major symbol of Cultural Nationalism propounded by RSS. Let's see what Ambedkar has to say about Lord Ram, "The life of Sita simply did not count. What counted was his own personal name and fame. He of course does not take the manly course of stopping this gossip, which as a king he could do and which as husband who was convinced of his wife’s innocence he was bound to it." And further, "For 12 years the boys lived in forest in Ashram of Valmiki not far from Ayodhya where Rama continued to rule. Never once in those 12 years this model Husband and living father cared to inquire what has happened to Sita whether she was alive or dead, ...Sita preferred to die rather than return to Ram who had behaved no better than a brute." The signals to the Dalits in Hindutva cultural Nationalism are more than glaringly obvious as the Lord demonstrates in his own life, "...he was a Shudra named Shambuk who was practicing Tapasya with a view to going to heaven in his own earthly person and without so much as a warning, expostulation or the like addressed to him, cut off his head..."(From Riddles of Rama and Krishna). 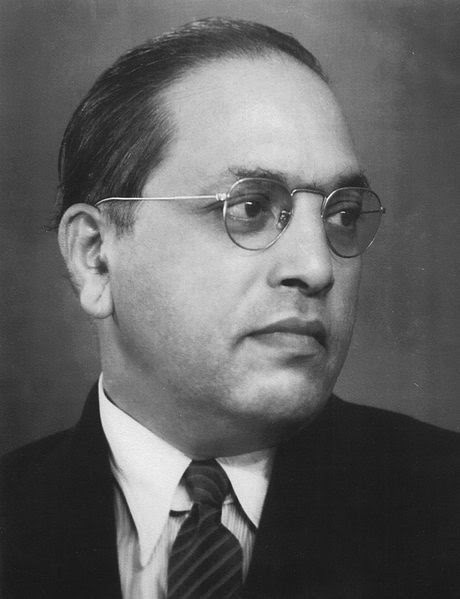 Ambedkar envisioned ‘annihilation of caste’, which remains unfulfilled despite India getting Independence. Multiple factors have operated in the society due to which caste still remains a major factor in India. In contrast to Ambedkar’s ‘Annihilation of Caste’ the politics of RSS combine says that there should be ‘harmony amongst different castes’ and so they have formed an organization called ‘Samajik Samrasta Manch’ (Social Harmony Forum). Contrasting approach to social issues, Ambedkar and RSS! On all associated matters related to affirmative action for weaker sections of society, rights and status of religious minorities their positions are totally contrasting. Even in the matters of the very Constitution of India, Ambedkar was the chairman of its drafting committee while many a sections from RSS stable have called it as anti Hindu and need to bring in Hindu Constitution based on Indian Holy books. This attempt by Mr. Bhagwat is like putting wool in the eyes of people to achieve their political goals and to get legitimacy from amongst the sections of people who are deeply wedded to ideological values of Ambedkar.